1. 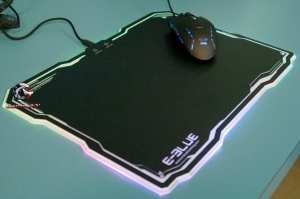 RGB backlit mouse pad, and there is 10 kinds of displaying modes and 4 kinds of brightness for your choice. Smart and dazzling, perfectly designed for PC Gamers. 2. Surface has been optimized, suits for different mouse’s sensitivity, operation gets smoother and more precise. 3. Edge of the pad is flat and smooth, not hurting your hand.